Happy Monday, Maharanis! 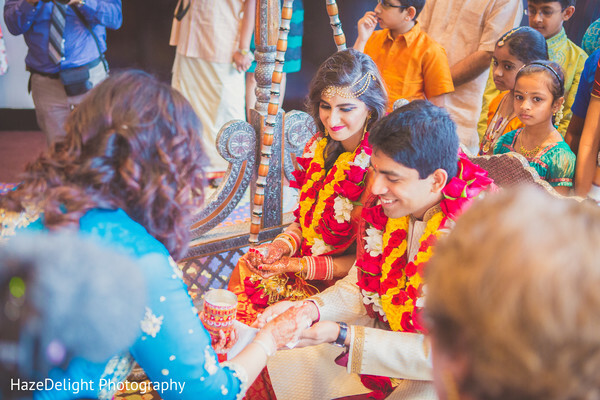 We've got glamorous weddings galore lined up for you this week, starting with this fabulous Miami, Florida Indian wedding! Envi Event Planning planned this sensational shaadi and made sure every one of our Indian bride's dreams came true! 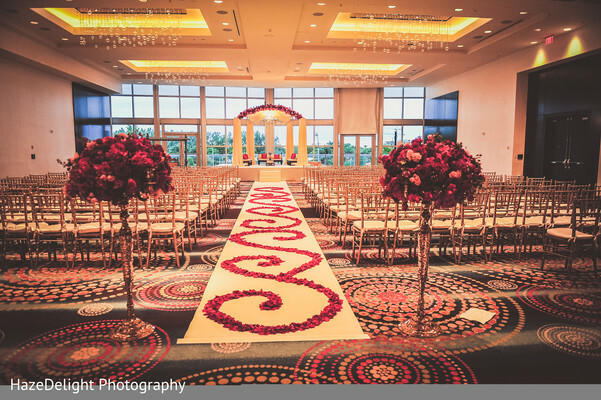 Suhaag Garden added the incredible decor, and we were especially awed by the magnificent swirls of rose petals that lined the aisle during the ceremony! 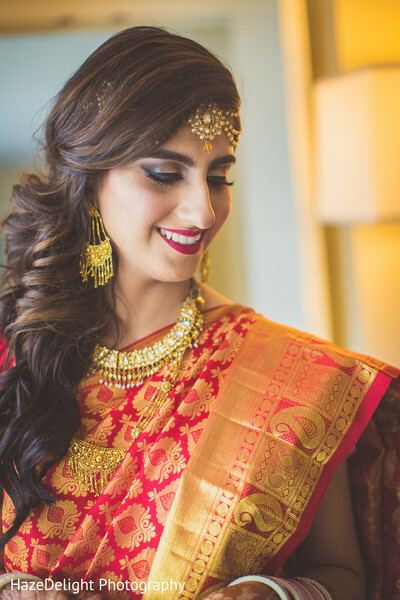 Our Maharani stole the show, however, looking stunning with romantic curls and flawless makeup by Glam By Mevi! 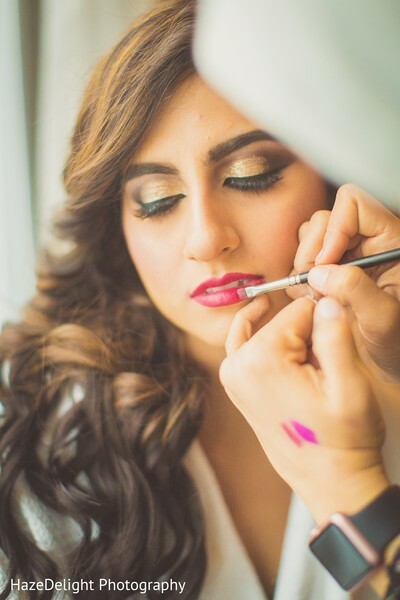 See more of the spectacular details HazeDelight Photography captured in the full gallery! "So the week before 4th of July weekend 2015 I was in NYC with my mom on a girls trip. My boyfriend at the time was living in Connecticut which is pretty close to New York, so after my trip I was planning to spend the 4th of July weekend with him. When I asked him what we could do over the long weekend, he said 'Well you already explored NYC so let's go somewhere different. Let's go to Vermont.' In my head I was thinking 'Vermont? What's in Vermont?' but I had no other plans or ideas so I went along with it. Then as we were going, I started reading up on Vermont, I realized it's a very scenic place with lots of outdoor activities. My heart sank...I am not a very outdoorsy person and I can't stand hiking. So on 4th of July 2015, my boyfriend kept insisting we go to these waterfalls called Hamilton Falls. I literally didn't even pack sneakers, I was in sandals, because I was coming from New York and I had no intention of doing any rigorous hiking or walking. I told my boyfriend 'Adithya you know me very well. I hate hiking and can't stand the outdoors. If you're tricking me into a hike or something, I don't want to go.' He kept insisting saying he knows I'm going to love it. The entire car ride I was complaining about this! When we reached the place he actually managed to drive me to a point where there was no walking/hiking involved and it was just a walk down a few steps to the waterfall. I was relieved and when we got to the waterfall. It turned out to be beautiful with such blue water and a very scenic fall. I was so relaxed and it was great to just spend time in the romantic spot alone together. We sat on a rock next to the waterfall and started talking about us and our future. I don't remember the entire conversation, had I had known he was going to propose at that moment I would've paid closer attention! But I remember he kept joking about when I'm coming to move in with him. I told him a million times before that I wasn't going to move in with him until we eventually got married and I said the same thing to him again. Then suddenly out of no where he said 'Well I guess you'll have to marry me then.' Next thing I know he pulls out a gorgeous ring, gets down on one knee and asks 'Will you marry me?.' I was completely surprised! It was such an intimate and romantic proposal. I of course said yes! I couldn't have asked for a better proposal!" 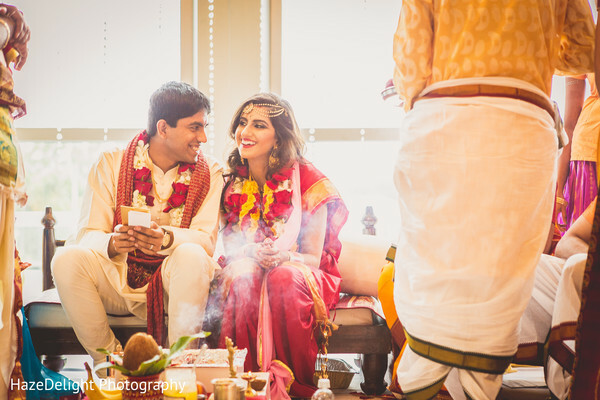 "My bridal outfits really helped serve as decision makers for the themes and colors. I wore a blush pink lengha-saree from Pam Mehta on my Mehndi/Sangeet night, so I made my colors blush pink and more cooler colors like turquoise and purple to really stand out with the neutral color of blush pink. The wedding day I had to wear red sarees that the grooms side picked out for me and later I wore a fuschia pink Sabyasachi lengha so I stuck to more warm tones on the wedding day. I used mostly pinks and reds as the colors for the wedding day. 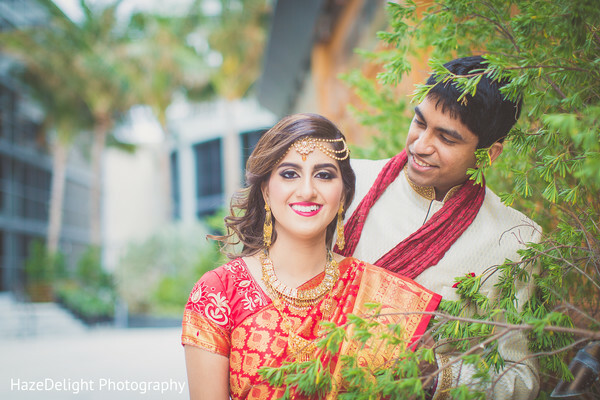 I wanted to have a contrast between the wedding day and the Mehndi night and my outfits really helped with deciding the colors and the variation of the two days." 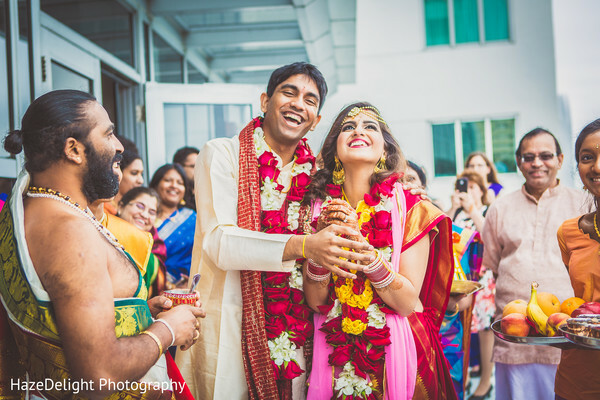 "The best part of planning my dream Indian wedding was spending the quality time with my mom throughout the entire planning process. My mom is my best friend and I was living with her after I had just graduated college and I knew I was going to miss her once I got married and moved away to Connecticut. Planning this wedding we were able to really bond through all the wedding craziness and I was really glad I had someone who could help with the decision making. We were both pretty in sync throughout the entire planning and things definitely went very smooth having her by my side." Come see the thrilling reception, next!